A new wife for 1199 Sergeant Major John Allen, 13th Light Dragoons, and the birth of Canada. It’s odd how some seemingly small genealogical find can generate a lot of new research and take you into some very unexpected places. Last month the EJBA was contacted by Craig Smith, seeking further information about John Allen, a possible relative. John Allen, the son of an agricultural labourer from Berkshire, had enlisted in the 13th Light Dragoons in 1843, his horse was killed under him in the Charge at Balaclava in 1854, and he later served in Canada* (where one of his children was born). You can read his page on the Lives of the Light Brigade website here. 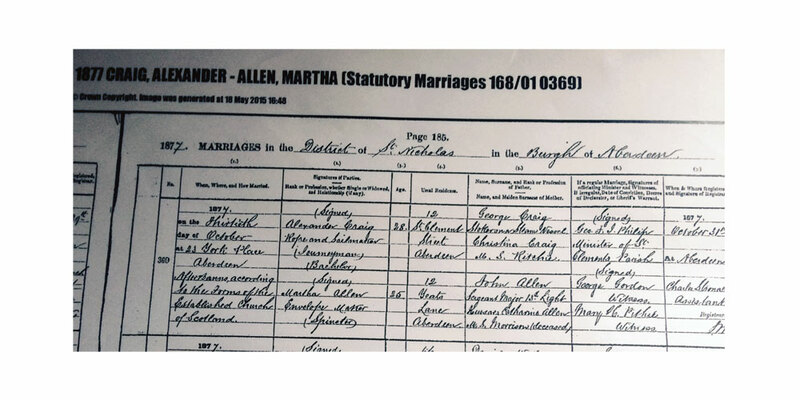 Very helpfully, Craig sent an image of a marriage registration he’d found dated 30 October 1877 for Martha Allen, aged 25, daughter of “John Allen, Sergeant Major 13th Light Hussars”. The marriage of John Allen’s daughter Martha in Aberdeen in 1877. I have transcribed this on John Allen’s page on the Charge site. This was particularly interesting because until now there was nothing in the EJBA about any marriage John Allen might have contracted before the Crimean War – only of one between himself and Harriet Littleton afterwards, in Dublin in 1859. If she was 25 in 1877, Martha (this was also John’s mother’s name) must have been born around 1852. According to Census records, John Allen was at Piershill Barracks, Leith, Scotland in 1851, which is presumably where John and Martha’s mother Catharine (nee Morrison) met. Morrison is a very Scottish name. 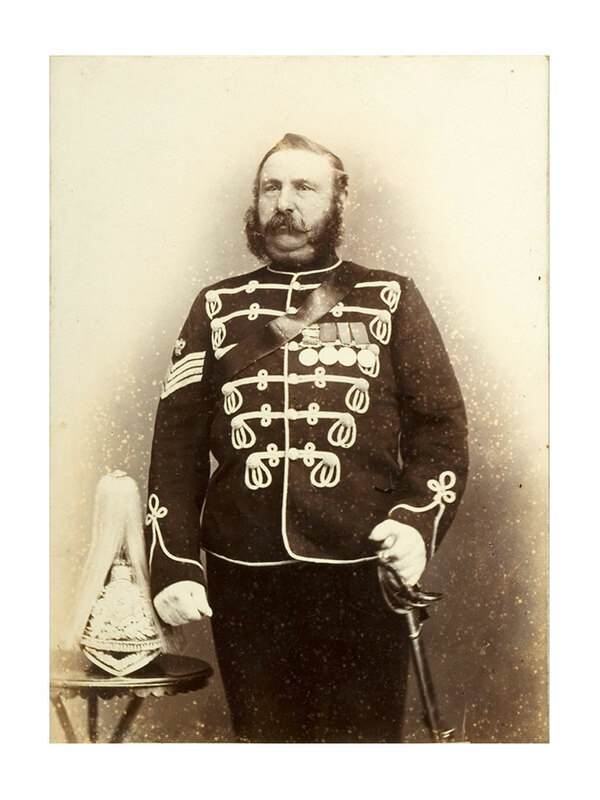 John Allen, photographed in later life, when he was Troop Sergeant-Major to the Leek and Biddulph Queen’s Own Yeomanry. It seems likely that Catharine died within a few years of marriage but I have not been able to find out anything more about her, or of Martha’s life before she married. * Canada? Yes, quite a number of Crimea men spent time there. 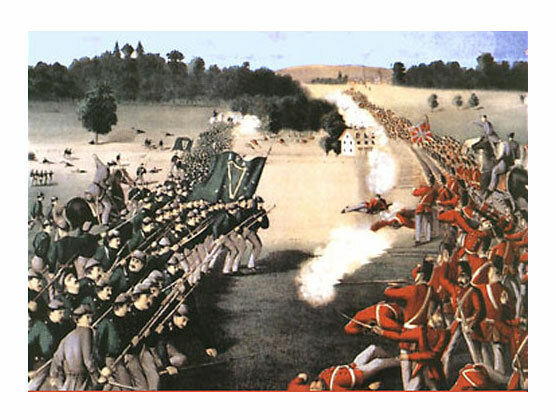 John Allen probably went out to Canada in 1866, because of British fears at the end of the American Civil War (1861-5) of regiments of battle-hardened Fenians swarming over the border into Canada in the hope of forcing the British to concede an Irish Republic. 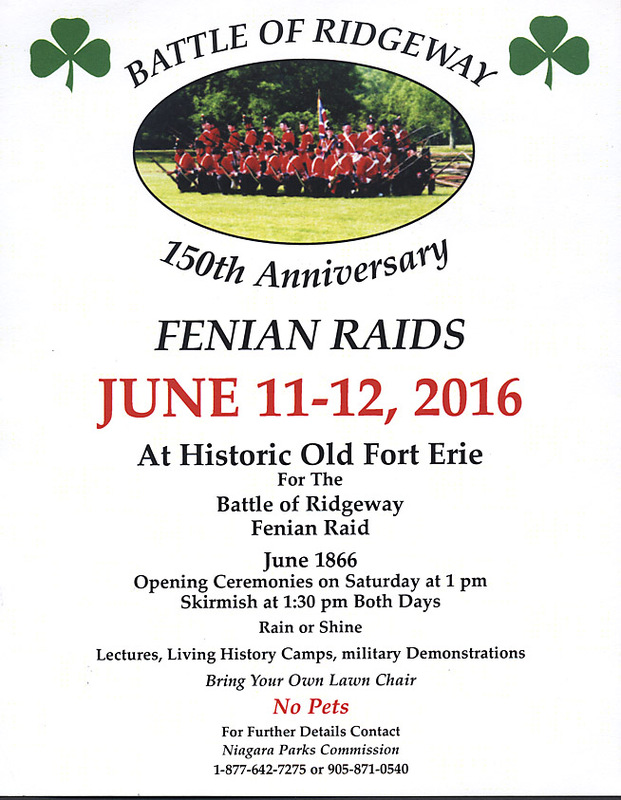 A fanciful depiction of the “Battle of Ridgeway”, also known as the “Fenian Raid”, 1866. One such raid, the Battle of Ridgeway, took place around this date 149 years ago (1st – 3rd June 1866) – and will be commemorated by a huge re-enactment next year. There were a number of such raids or invasions, but they were not a success. Indeed, they had the paradoxical effect of unifying Canadians against the USA (which was seen to have colluded, or at least turned a blind eye to the Fenians). In 1867, the year after the Battle of Ridgeway, the provinces joined in a Confederation. Soon after, John Allen and his second wife Harriet, and their young children (one if them, Alice, born in Toronto) returned to England. John and Harriet had five children together, and went on to run two pubs in Leek, Staffordshire. (He was also the Sergeant Major in the local Yeomanry.) The pubs are still there, though both have now been renamed: the Swan Hotel has become the “Green Dragon” and the Queen’s Arms is now called “The Blue Mugge” . This entry was posted in Uncategorized and tagged 13th Light Dragoons, Canada, Charge of the Light Brigade, Crimean War, John Allen by Philip Boys. Bookmark the permalink.